Lavender Body Wash, 100% Natural, Natural Body Wash, Natural Soap, Lavender Soap, Natural, Stress Relief, Relaxing, Spa Soap, Lavender. Relax the day away with the stress relieving scent of pure lavender. 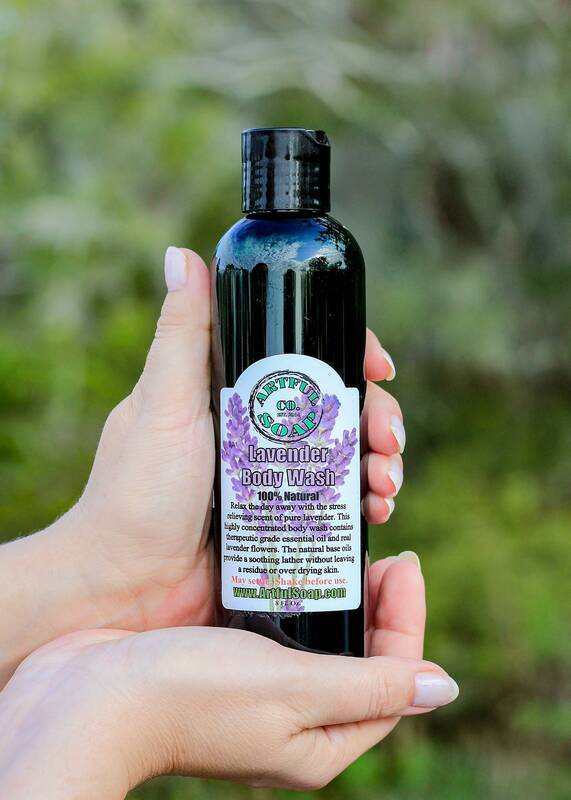 This highly concentrated body wash contains therapeutic grade essential oil and real lavender flowers. 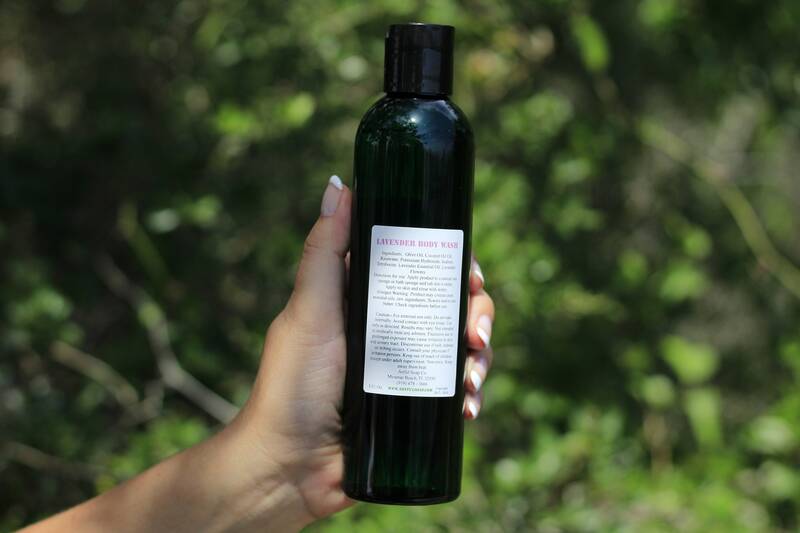 The natural base oils provide a soothing lather without leaving a residue or over drying skin. Ingredients: Rainwater, Potassium Oleate, Potassium Cocoate, Glycerin, Potassium Citrate, Potassium Palm Kernal Acid, Essential Oil, Lavender Essential Oil, Vitamin E, Lavender Flowers.